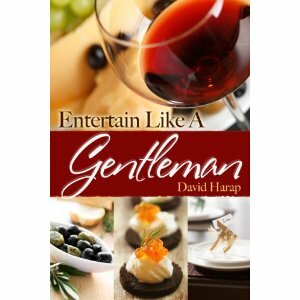 Entertain Like A Gentleman is the perfect cookbook for that man in your life who loves to cook. It has easy to follow instructions, written in precise context, allowing you to create the perfect dish, every time. With 75 amazing recipes to choose from, Chef David Harap, a bachelor himself, tantalizes and tempts your taste buds as he instructs you on how to put together some palatable delights. With entertaining ideas and recipes to deliver the perfect romantic meal for that special someone or to serve up some hearty grub for that all important sports game that you and the dudes get together for every year, this cookbook is sure to have something for everyone to enjoy. As well, each chapter has a place to store your own notes...to add those extra flavours that appeal to you or whatever you wish to keep track of. If your a man who loves to cook, then Entertain Like A Gentleman won't disappoint...with recipes such as Chili rubbed Beef Tenderloin Slider, Apple Gingerbread Bread Pudding and Mac'n'Cheese for the kids...this is the cookbook that will help you please the palates in your life. A step-by-step cookbook for men; 75 recipes to choose from and loads of helpful instructional data.